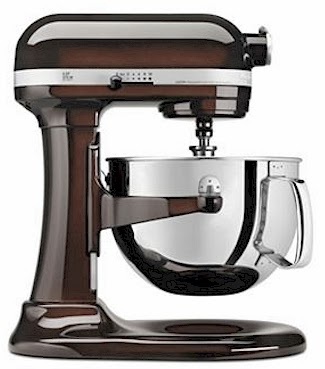 KitchenAid Pro 600 Stand Mixer for $253.99 (after promo code, rebate and Kohl's cash. 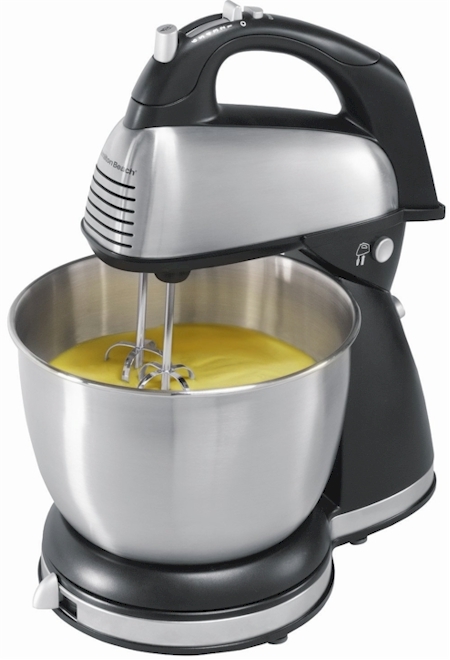 Kohl's has an unbelievable sale on this KitchenAid Pro 600 Stand Mixer (6 quarts). Its regular price is $549.99, but it's on sale for $489.99. But after this deal, with the promo code, rebate and Kohl's Cash (which you can use 12/2/13 - 12/9/13), your net price will be $253.99. Add this mixer to your cart. 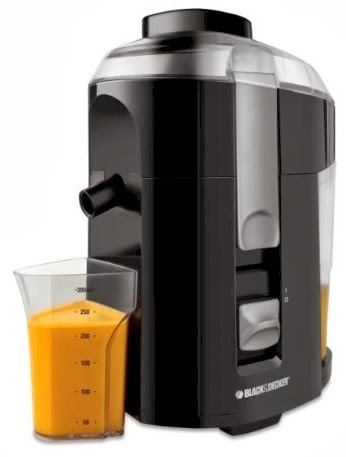 I've got two friends doing juicing cleanses now (and making me laugh as they are sharing their juicing adventures on Facebook), so I had to chuckle when this Black & Decker 400-Watt Fruit and Vegetable Juice Extractor (model #JE2200) came up on my Amazon price tracker with a price drop to $24.99 with free Prime/SuperSaver shipping. 400 watts of power plus a stainless steel cutter and strainer juices all your favorite fruits and vegetables with ease. Large, integrated pulp container reduces space taken on counter. Custom juice cup makes measuring, pouring and serving easy. Measures 13 by 9 by 9-inch; 2-year limited warranty. 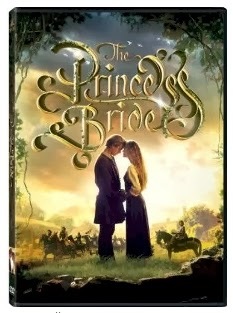 The Princess Bride DVD has now dropped to $3.99 with free Prime/SuperSaver shipping on Amazon. Yes, I know it's not a Kitchen Aid, but sometimes, when you need to get to work in the morning, a Honda will get you there just as fast as a Lexus will, know what I mean? This Hamilton Beach 6 Speed Classic Stand Mixer has just dropped to its lowest historical price EVER on Amazon, $24.99 with free Prime/SuperSaver shipping. My friend Lainie turned me on to this mixer, as it's the one she uses in her summer place in the Catskills and I think it's a very strong contender for a Pesach mixer. I love that it doubles as a hand mixer. This price is ridiculous. 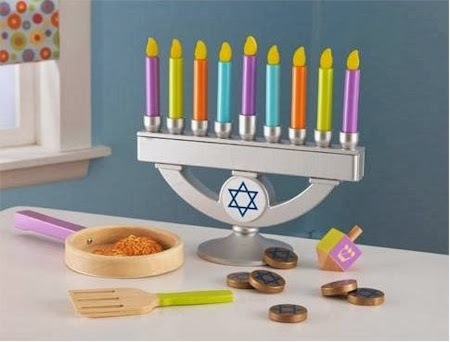 Amazon has got the KidKraft Wooden Chanukah set for $27.99 with free Prime/SuperSaver shipping. Includes a play menorah, dreidel, six play coins (Chanukah gelt), two play potato latkes, spatula, pan and storage bag. This set received a perfect 5 out of 5 stars over 12 customer reviews. Whoa! 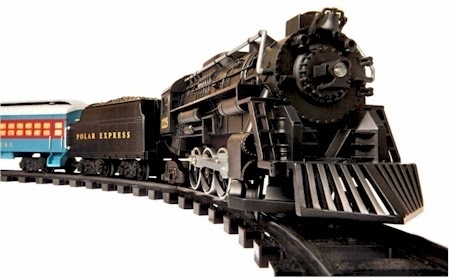 If you've been waiting to get a "real" Lionel train set for your child, the Lionel Polar Express Train Set (G-Gauge) just had a $20 Amazon price drop, from $139.99 to $119.54, with free shipping. All aboard! 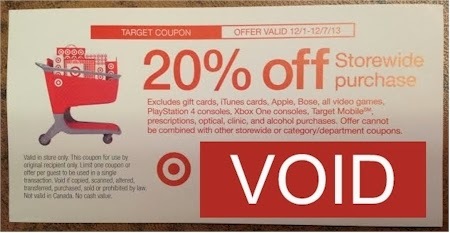 Purchase $75 worth of stuff (anything except prescriptions, optical, clinic, and alcohol purchases; I'm guessing gift cards are excluded though they were not mentioned) at Target in-store today, 11/29/13, and get a very high-value coupon for 20% off your storewide purchase from 12/1/13-12/7/13, excluding gift cards, iTunes cards, Apple, Bose, all video games, PlayStation 4 consoles, Target Mobile, prescriptions, optical, clinic, and alcohol purchases. Offer cannot be combined with other storewide or category/department coupons. But, there's nothing in the rules about manufacturer's or store coupons for individual items, which means you can probably use this 20% off discount with those coupons, Cartwheel and your RedCard discount. You can also snag this coupon with an ONLINE $75 purchase today. (Have you seen the cashmere blend sweater deal here?) If your purchase qualifies, you'll receive this coupon on 11/30/13 via email. And while we're talking about Target deals, click on the red "sign up now" button here and enter your info to be in the pipeline for Target Cyber-Week deals and exclusive offers. Cyber Week begins on Sunday, 12/1/13, so make sure you sign up NOW. And icing on the cake, if you do decide to make your purchase in-store today, and you're a ShopKick member, you'll get 200 kicks today just for walking in to a Target store. 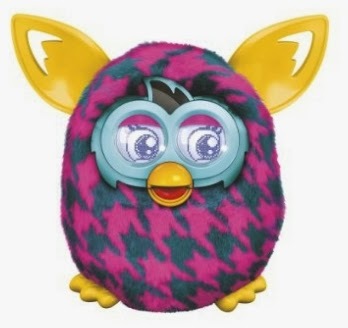 Amazon has got a Furby for $29.00 with free Prime/SuperSaver shipping here (down today from $39.99). If this one changes price before you can get it, there will be an Amazon Lightning Deal coming up 12:45 PM EST here as well. My new favorite site for kitchenware is Shop World Kitchen Outlets. I have trouble writing posts about their sales. because, without exaggeration, about 50% of their merchandise is priced at a great deal, and even more so with their Black Friday Week promotions. There are too many bargains to choose from to easily put together a coherent post! 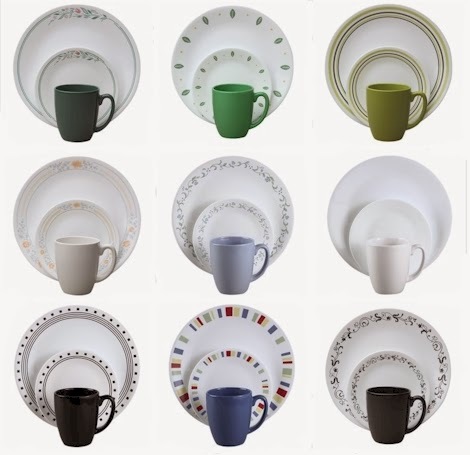 Let's start with these ten select Corelle 16-piece dinnerware sets for $24.99 (including the one at the very top of the page). Besides the Corelle sets, here are their Black Friday Week stupendous promotions. Pay attention to the "Buy 2 or more" deals; I think those are the greatest value. Check out these $1.99 Doorbuster items . Get any (or all) of these items at $3.99 each with any other purchase. Price drops to $3.99 in shopping cart. Buy 2 or more of these Corningware items, and save 50% on all of them. Price drops by 50% in your cart. Buy 2 or more of any of these Baker's Secret bakeware and gadgets and save 50% on all of them. Price drops by 50% in your cart. Buy 2 or more of any of these Pyrex items and save 50% on all of them . Price drops by 50% in your cart. Buy 2 or more of these Visions Glass Cookware and save 40% on all of them. Price drops by 40% in your cart. Buy 2 or more of these Snapware items and save 40% on all of them. Price drops by 40% in your cart. Buy 2 or more of these Chicago Cutlery items and save 40% on all of them. Price drops by 40% in your cart. Buy 2 Ecko tools & gadgets and get one free. Make sure you add all three items to your cart and the least expensive one will be free in your shopping cart. You can do this deal as many times as you like, as long as you keep adding items in increments of three. 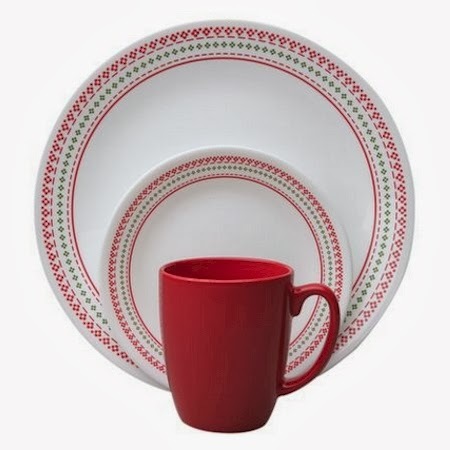 Save 50% on select Corelle open-stock dinnerware. The only thing that's not frugal about this site is its shipping fees. Shipping starts at $6.95 and free shipping kicks in automatically at $99. If you can get to free shipping, great, but, even with the shipping cost, the value that you're getting with these deals far exceeds what you're paying in shipping most of the time. Amazon's Gold Box Deal of the Day today, 11/28/13, is the Xbox 360 E 250GB Holiday Value Bundle for $189.99 (37% off the list price of $299.99) with free shipping. 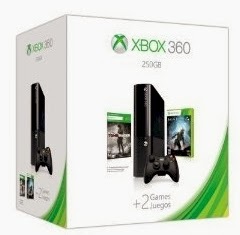 The regular price Xbox bundle on this is $249.00, which is what it will return to at midnight. 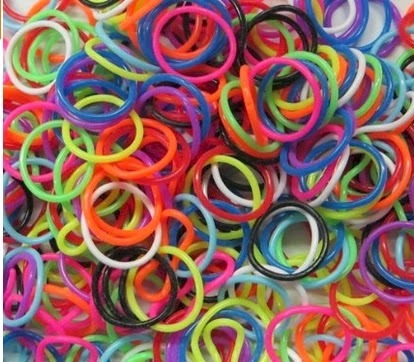 Amazon has got this bulk package of 1,200 rubber "Rainbow" bands with 48 "S" clips, all for $4.95 with free shipping (no Prime membership required). 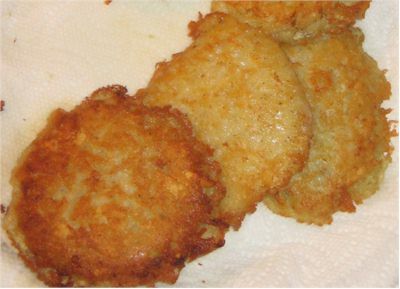 It's the eve of Chanukah, and lots of you are making latkes (I know I am), so I figured, what better time to re-post Nossi Fogel, the Kosher Gastronome's fabulous latke recipe? I was honored to have The Kosher Gastronome guest-post on Daily Cheapskate over here, and I'm thrilled that Nossi Fogel is back again! We're almost halfway through Chanukah, but if you are making special latkes for Shabbat, you must try The Kosher Gastronome's recipe. 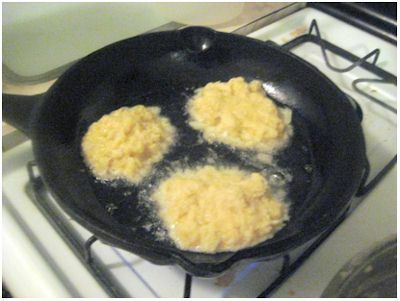 Nossi likes his latkes the old-fashioned way, both in substance and method, and the result looks amazing. For more wonderful recipes like this, traditional and otherwise, please check out Nossi on his wonderful culinary blog, The Kosher Gastronome. Hey there, The Kosher Gastronome here, with yet another break from being cheap and frugal, to bring you a second awesome guest post. And at what better time than Chanukah? Is there any food better than The Latke? No, of course not, and that’s why I’m here today to talk latkes with you. Latkes have become somewhat of a popular recipe of late, with the blogosphere all a-bloggin about it, using many varied ingredients, from potato to sweet potato, to carrots, to you-name-it. Now, in my opinion, there are two types of cooks: traditionalist and non-traditionalist. I consider myself a traditionalist, and to me, anything but a potato latke is just not a latke. It might be super-tasty, but I'm a purist when it comes to latke ingredients. And even more than that, I am strict about the method as well as the substance. These must be made by hand, with a special type of grater that is sold only in desolate Eastern European countries, usually by an elderly lady on the side of a road, walking a horse. I must use this specific type of grater which turns the potatoes into a mush, rather than little shoestrings. It can’t be made any other way. The latkes have to be made with the exact same directions as a potato kugel recipe, just fried by the spoonful. It might sound fussy, but the results are little airy potato kugel bites with a crisp exterior. 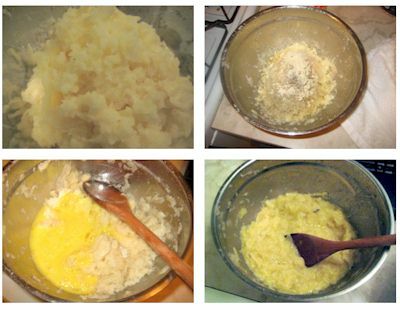 Many recipes will have you pressing out the excess water from the grated potatoes, and only frying up the little pieces of potato. I’m not a fan of this, because as I said, I want that pillowy, potato-kugel like interior. One of my initial callings to the culinary world came when I was a wee adolescent, and was taught to make potato kugel and latkes from my Babbi (Grandmother), and the traditional aspects of these dishes have held a spot in my heart ever since. Not to sound like a weirdo or anything. You see, with most of the foods that I make, I need to know and understand why certain things are done a certain way. It’s my scientific geeky side. But potato kugel is different. It transcends science, and there’s no messing with it. I’ve been making potato kugel the same way that my grandmother has been making it her whole life. It’s like a connection to my past. Too mushy?? (You see what I did there? Mushy?? I’m so weird it hurts sometimes). Well I don’t want to keep you too long; there're some latkes to be made. Onward! Obviously the first thing to do is peel the potatoes. 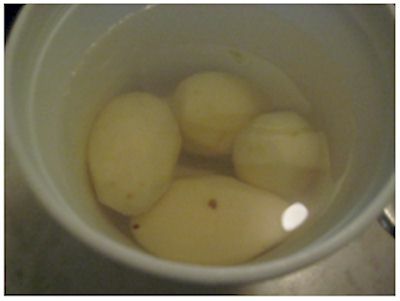 I like to place them in a bowl of water as I peel them, so they don’t brown, and if you really want to buy more time against the browning process, drop in a ton of ice to get the water really cold. You know how you move more slowly in the cold? 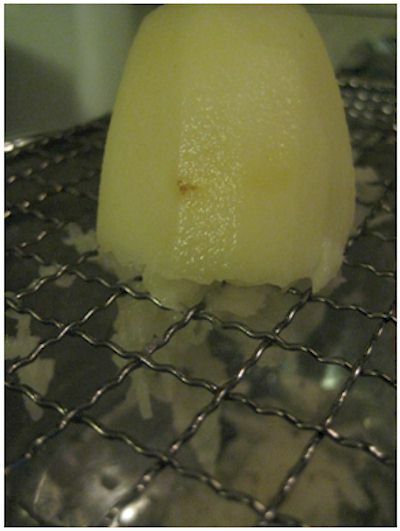 Well so do chemical reactions, so it will just take longer for the potatoes to brown, even after they are grated. (All right, so maybe there's a little science here). Whip out your trusty grater, which you just got from your local "Eastern European knick-knack store," and put those biceps to work. 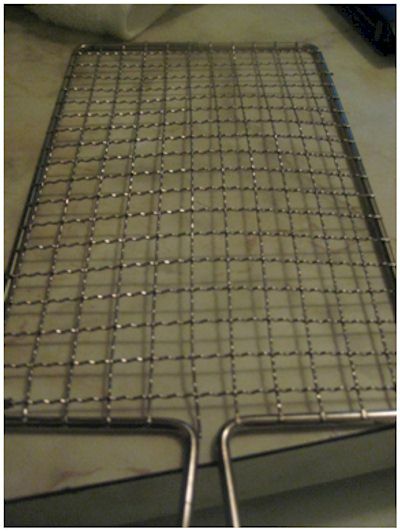 By the way, this whole grating process is the reason for my muscular physique. It’s true! With just ten minutes a week, I went from a scrawny weakling to a muscle man! And you can too! When your potatoes are all grated, add your spices: only salt, pepper, garlic and onion powder. I'll explain why I don't use fresh onion and garlic another time; I gotta finish this post, so we can get to the eating. I like to pour some hot oil into the mixture, and make the whole thing sizzle (and "bloom" the garlic, onion and pepper while I’m at it), and blend that around, and then add my beaten eggs. In keeping with the whole non-modernized theme of the dish, I pretty much eyeball everything in terms of amounts, from spices to eggs. If it’s for a typical meal for, say six people, I'll use about eight potatoes, and I’ll throw in 4-5 eggs, depending on how I feel. I fry them in a neutral oil (like canola or vegetable oil) in a skillet over medium-high heat, for about 2-3 minutes per side. Drain them on paper towels before serving. And then you know what I do? I inhale them...not eat...inhale. It's not pretty. Well, I hope you enjoy your Chanukah, and these-here purdy latkes. And remember to check me out at – The Kosher Gastronome, and if that’s not enough, we’re now on Facebook!. But wait, there’s more... follow me on Twitter @koshrGastronome! Yes ladies and gentleman, Facebook AND Twitter, two great offers, for just one low price. 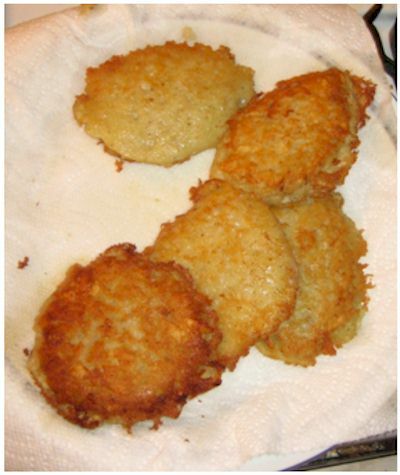 Download a pdf version of the latke recipe here. #1,2,3 online sales that you must check out if you've got young kids. I know everyone is a little overwhelmed by all the Black Friday, pre-Black Friday, Cyber Monday, Cyber Week, etc. sales, but there are three sales that you absolutely must check out today if you have young kids. 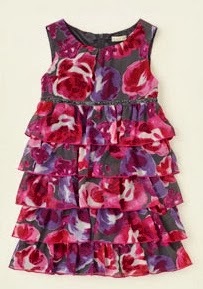 RUUM American Kid’s Wear: take 40% off + FREE shipping on orders over $60 with promo code 324. The bargains on children's clothing here are nuts. 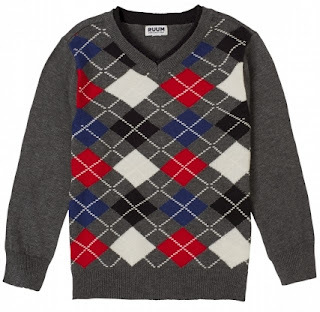 This boys argyle sweater was originally $24.50, is marked down to $16.99 and drops down to $10.19 after the promo code. The Children’s Place has got 30% off everything and FREE shipping (no minimum) with promo code BLACKFRIDAY. This floral tiered Georgette dress was $29.95, is marked down to $20.58, and goes down further to $14.41 with the 30% promo code. 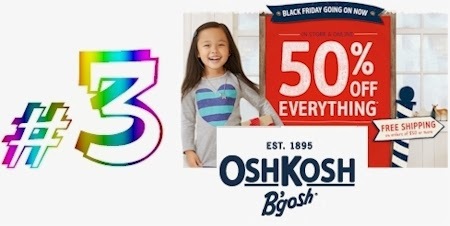 OshKosh B'Gosh has got 50% off EVERYTHING on their site AND an additional 20% off clearance, with free shipping on orders of $50 or more. No promo code necessary; the extra 20% on clearance comes off in your shopping cart. They've also got some incredible doorbusters. like $5 t-shirts, $10 pajamas, etc. 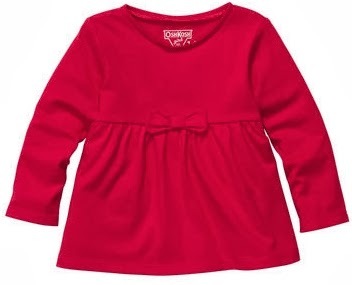 This adorable bow top was $26.00, is marked down to $9.99 and drops to $7.99 in your shopping cart. So before you get that turkey in the oven today or put those potatoes through the food processor, check out these three excellent sales for some amazing deal in kids' clothing. Pay $4.99 (for shipping and handling) for this entire package, which is easily worth it just for the deodorant alone, which is one of Secret's pricier versions (see Walmart's $7.97 price on Secret Clinical Strength pictured here). I am normally very hesitant to recommend "free-stuff-that-costs-money" but in this case, the value is excellent. Even if you toss out the coupons and free Olay sample, the two deodorant are worth $16.00 alone, so you start out way ahead. 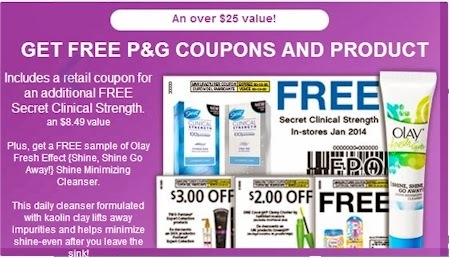 If I told you that you could use two $5.50 coupons on two Secret Clinical Strength deodorants, and not even have to leave the house to do it, wouldn't you grab those coupons? Click on the banner at the very top of the post to take advantage of this valuable offer. One offer per customer please. Home Depot has got the KidKraft Chanukah Play Set (model # 62905) for $29.99. but, when you add two of them to your shopping cart bringing your total up to $59.98, and then use promo code HDHOLIDAY (all caps), dropping your total by $5.00 to $54.98, or $27.49 per play set. Since your purchase is over $45, shipping is free, but you can also pick it up in-store at the Home Depot, if you'd like to get it right away. 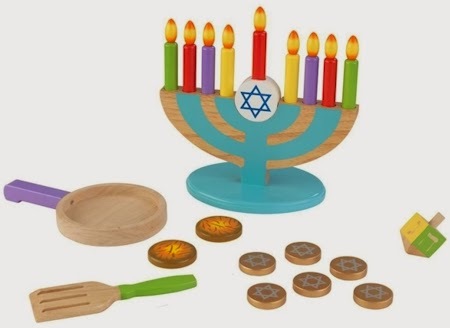 Set includes: menorah, dreidel, 6 coins (gelt), two play potato latkes, spatula, pan, storage bag. Best purchasing strategy here is to either team up with a friend and each buy one, or to buy two and then to gift one. Buy any two of the Apt. 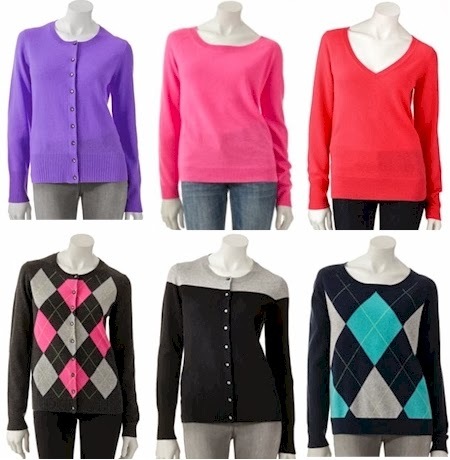 9 cashmere sweaters shown here, that are priced at $34.97 (they were originally $125). Your subtotal (excluding tax) will be $69.98. Use promo code BLACKFRI at checkout to drop that total by 15% ($10.50) to $59.48. This is what you'll pay. 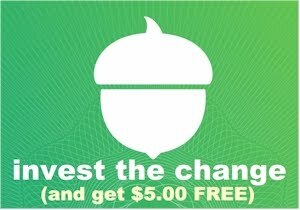 Since your purchase is over $50, shipping is free. For every $50 purchase that you make, you'll receive $15 in Kohl's cash, good for purchases made from 12/2/13-12/90/13, so you'll get $15 in Kohl's cash for purchasing these two sweaters. So $59.48 - $15.00 = $44.48, or $22.24 per cashmere sweater shipped. These cashmere sweaters come in 6 styles, numerous colors, and in sizes small through extra-large. 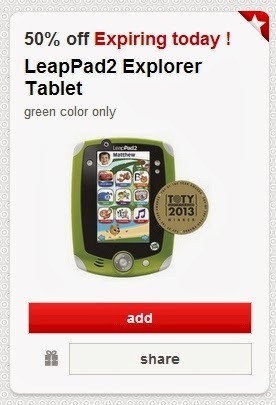 Today only, get the LeapPad2 Explorer Tablet in green in-store at Target for half price, $39.98 (or $38.00 if you use your Target RedCard), when you add this one-day 50% off LeapPad2 offer to your Cartwheel account, and then have the Target cashier scan your MyCartWheel code at checkout. This Cartwheel offer is good in-store today, 11/27/13 only. How did I find out about this fantastic offer? Well, I'm on the Target Cyber-Week email list. Click on the red "sign up now" button here and enter your info to be in the pipeline for Target Cyber-Week deals and exclusive offers. Cyber Week begins on 12/1/13, so make sure you sign up NOW. 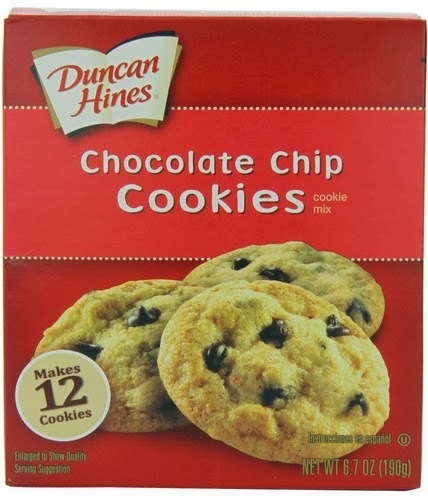 Amazon has got this 12-count package of Duncan Hines chocolate chip cookie mixes for $14.55 ($1.21 per box) with a regular 5% Subscribe & Save discount and $13.02 ($1.09 per box) with the 15% Subscribe & Save discount. You can get the 15% discount if you manage to have five active Subscribe & Save subscriptions delivered in one month. I actually use this cookie mix all the time; it's kosher, OU-pareve, and I make both cookies and cookie bars with it. (If you're feeding a non-allergic crowd, throw in half a jar of peanut butter to the mix for chocolate peanut butter bars.) Since this is a Subscribe & Save deal, shipping is free with no Amazon Prime membership required. 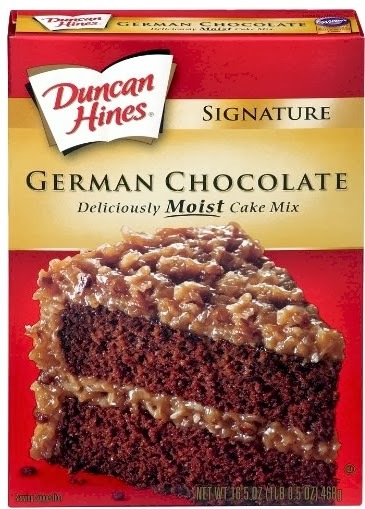 Amazon has got this 8-count package of Duncan Hines Signature German Chocolate cake mixes for $14.21 ($1.78 per box) with a regular 5% Subscribe & Save discount and $12.72 ($1.59 per box) with the 15% Subscribe & Save discount. You can get the 15% discount if you manage to have five active Subscribe & Save subscriptions delivered in one month. This Signature German Chocolate cake mix is kosher OU-pareve (please note that this is only true for the Signature mix; the Decadent German Chocolate cake mix is OU-D dairy). Since this is a Subscribe & Save deal, shipping is free with no Prime membership required. If you're considering this as your very first Subscribe & Save deal, welcome aboard and you will save not 5%, not 15% but 30% off of this deal. Make sure you enter promo code NEWSNS30 at checkout to get that 30% discount. 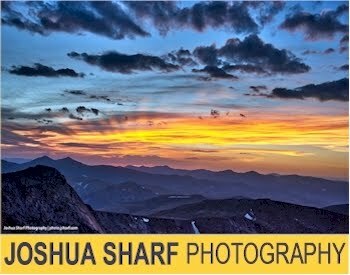 If you're new around here or just unfamiliar with Subscribe & Save deals, or would just like a few tips on how best to use the Subscribe & Save program, read my shpiel on Subscribe & Save strategies here. WOW! 30% off your first Subscribe & Save deal!